The Arona is quite brilliant - a small crossover with the knack, you might say. Just like the bigger Ateca, it's probably the best all rounder in its class. 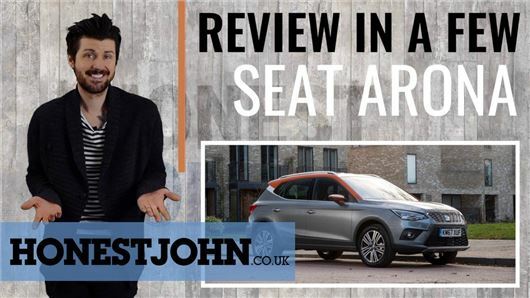 Here's Mark's video review to tell you why. Please subscribe to the YouTube channel if you like what you see. If you don't, keep it a secret. MPV, SUV, Sports Utility, Crossover, slowly but surely they all morph into one another, have we reached peak the above or is there more badge engineering to come, I own one and even I am getting confused. I parked next to an Azteca and owning another from the VAG group it was difficult to see any difference, to much already. And Marks very good revue will not change my mind. Bought one of these, delivery in a few months. I’m really liking the idea of a two tone paint job, plus 1.0 auto. Petrol. Would have preferred an electric, but the joke of a local council have no inclination to put electric charge points nearby, so gone with the next best thing.